I’d been relatively disappointed by my experience of Valentine’s Day here in Barcelona. I saw no cards exchanged, no gifts, no surprise flowers, and certainly no more public displays of affection than was usual. I found it strange, from a country where we certainly think ‘la gente’ (the people) are supposed to be far more romantic, passionate, and all that hot-blooded Latin type of malarkey. Valentine’s Day for us is ridiculously commercial, a trend I am coming to see I might as well write for all the major holidays, as the world becomes more and more obsessed with making money rather than caring about what everybody actually feels like, or how we should be acting as people; in England the holiday seasons are just a constant feeling of despair and frustration more frequently nowadays – I feel like I am constantly counting my pennies and scrabbling around in pockets in case a fiver has gone through the wash somewhere along the line, because every little helps when I’m aware I have to get a gift for the world and his wife. I got rather nostalgic, though heaven knows why, when watching my weekly dose of English television and seeing the regular slog of ‘LOVE EACH OTHER’ adverts that crop up around the end of January towards Valentine’s Day – particularly sad that I couldn’t even receive that wonderful stroke of genius which is the 7p Smartprice ASDA gift card. Woe is me! Not that I would have even got anything back in the UK – nobody declares love for one another any longer on this special day reserved for only boyfriend and girlfriend, husband and wife, partner and insert whatever applies here. I suppose you would now be wondering why I’m rambling on about Valentine’s Day when we’re now well into April and almost through to May. Perhaps I’m laying on a thick hint for next year, but that’s not the case – here in Catalonia, Valentine’s is replaced by Sant Jordi, or St. George’s Day to you and me. One and the same patron Saint of England. Would you be their Valentine with this? The story that we know about George and his dragon is the same one reeled out here – ‘Sant Jordi i el Drac’ is the fable, in which the villagers of Montblanc are terrorised by a pesky dragon, who cheekily eats all their sheep and starts then picking on the people – the villagers decide to draw lots to see who will next be eaten by the dragon, and unluckily one week the Princess is drawn. Brave Jordi saves her by spearing down the beast, handily spilling blood onto a rosebush which flowered rather faster than normal, and plentifully. Thus the rose here has become a symbol of this day, and is given to a loved one, usually a woman or a girl. Lovers buy them for their partner, papa buys them for his wife and his children, and daughters wait desperately for daddy to come home so they can put their rose, bound with a ribbon bearing the Catalan colours, yellow and red, and teamed with a piece of straw, into water and left to dry for weeks on end afterward. 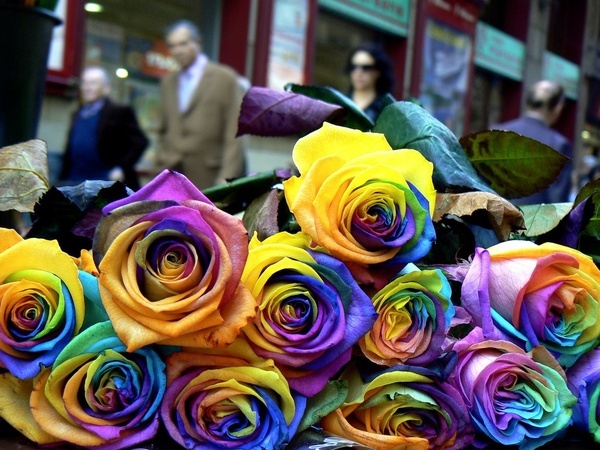 Beautiful dyed flowers also line the streets along with the traditional red ones. When you walk the streets of Barcelona and indeed, I am sure, anywhere in Catalonia on the 23rd of April, they are festooned with sellers galore, from the poor quality roses that seem to be dredged from a ditch, to fantastic creations even made from metal or longer-lasting material: ‘roses per sempre’ (roses for always). People are buying them by the dozen, handing them to little children, taking them back to schools and offices for the workers, and in general swept up like hot cakes, such is the popularity of this tradition. I had been told about it a few months beforehand by my German host family, but had not anticipated how big the day really is here. Along with a rose, it is tradition to be given a book, and in Catalonia alone around 7% of book sales for the entire year take place on this day, with roughly 17 million Euros being spent on ‘llibres’; astonishing, too, when you take into account how Spain is sinking further into recession than it has ever before. The reason for the book-giving is that St. Jordi also falls on World Book Day, plus on the anniversary of the death of both Cervantes and Shakespeare, and when it began to be seen as a day to celebrate literature; this tradition was widely accepted and taken on keenly. The new family I am with have three quite small children, which was nice for me as I got to listen to them reading their gifted books aloud that evening, and in Spanish (after six months here I’m now with a family who speaks Spanish and solely that at home). Although I already know the story of ‘Ricitos de Oro y Los Tres Osos’, of which title, I’m sure you’ll be able to guess in English, I was rather proud that I understood every word of it, even if it was a book for the 3-5 age gap. Bookstalls spring up everywhere, mixed in with those selling roses. On the television at night, the news has a big segment devoted to Sant Jordi, and they recount which has been the bestselling book of the day both in Catalan and in Spanish, a separate section for both. In a society where children seem to be reading less and less, and focussing more upon videogames and the Disney Channel, I found it very warming to hear children gushing the day after about what books they had been given, and reading avidly in class when they weren’t really supposed to be, so excited were they for their new books and the love that was given along with them. Family is much closer here than in England, and special holidays really show this – we seem to give because we feel obliged too, but here, family is much more than people you happen to share blood with. It’s hard to describe, because of course we all love our families, but here the bond is stronger, a mutual understanding that family should come before all else, even work. Should your mother become sick, your workplace will have little problem in giving you a few days off to be there for her, which I imagine would be much more difficult in England. I’d be glad to be proven wrong, but it’s just a feeling I have when I look at the families I’m surrounded by here, whom I have the privilege to stay with for some short months. At our school, and most in the Catalonia area, it was a special day, and the morning was devoted to ‘story time’; first, one of those rare assemblies, in which a presentation was given about the story of George and the Dragon, to be followed by yet more stories, but in separate groups. Each teacher took bunches of children, all the way through from P3 (age 3) to Sexto (age 12), to recount a story about trees – last year being the International Year of the Tree, as our school got it wrong and thought it was this year. We then had to make a wall chart about said story. Many of the teachers seemed to view it as a sort of competition, and we had some real works of art put up on the walls later in the day. 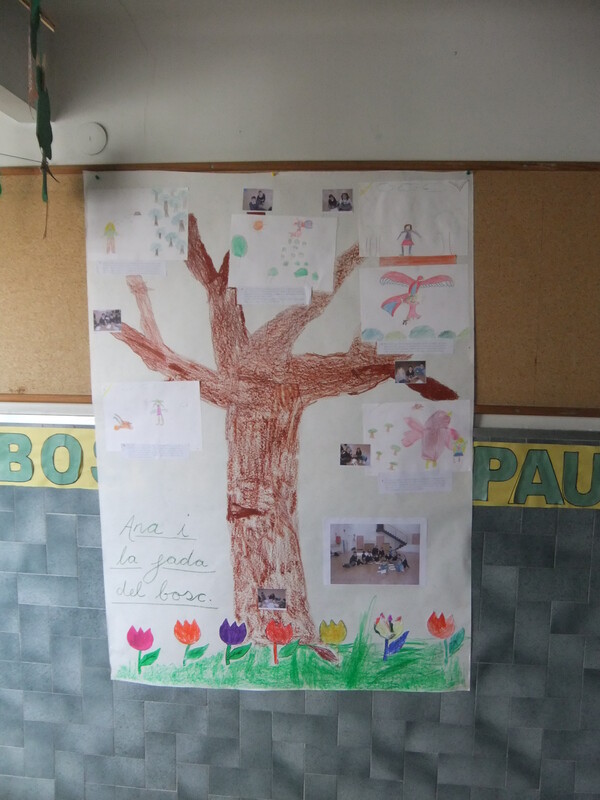 In my group, however, we let the children do most of the work, recounting the story of ‘Ana i la fada del bosc’ (Anna and the fairy godmother of the woods), and each child in a pair drawing the story out, and pinning the pictures to the branches of the tree I’d previously sketched out for them. The little ones coloured in some flowers, but managed to do it with more precision than the 12 year old boy designated to draw Ana and her beloved bike, which somewhat resembled a scarecrow with a dustcart. He commented that he was the next Picasso, being well aware that the rest of the school for the following few weeks would view his picture with the idea that it was done by a five year old, not someone seven years elder. Our poster, recounting the tale of Anna, who lost her hat in the woods and was captured by a gigantic bird. As you do. Sadly at 11.30, school returned to normal, although I am aware that in many of the classes the children made bookmarks, and drew pictures of books for the wall displays, coloured in pictures of dragons and shaped roses out of plasticine for mummy and daddy after school. In the English department, however, we couldn’t do any of this sort of thing, and regular service was resumed, although with relatively more high-spirited children than usual. 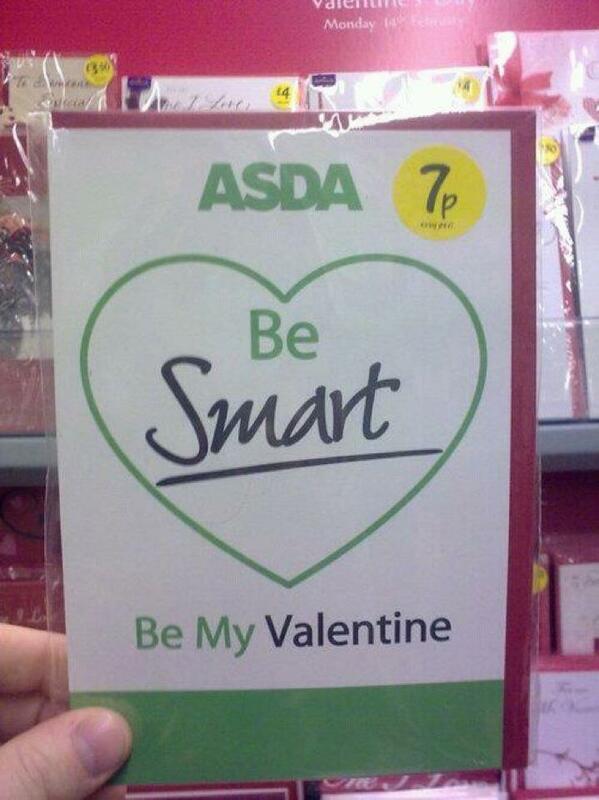 I truly think England could take a leaf out of Sant Jordi’s book (see what I did there?) here and turn our St. George’s Day into a day of love, giving, and general celebration together as a population. St. George’s Day is now being more associated with drinking in the pub, granted not as much as ‘Paddy’s’ Day, and loudly proclaiming in racist tones about how excellent it is to be English, though not probably being able to spell or read properly in said language itself. Having worked in pubs for three years on our Patron Saint’s day, I know this is becoming more of a reality every year: whilst I am proud to be English and agree we should use this day to celebrate our nation, it is now carrying negative connotations because of the mindless few that spoil it for the rest of us with loutishness and ignorance. I would be glad to see the shelves of shops lined with books especially for St. George, his memory as a Saint encouraging us to be generous, encouraging us to carry on using the gift of vocabulary and words to communicate and cherish one another in the way that we should as families, friends, and fellow people on this planet. I would be glad to see the roses line the streets, particularly when it paints such a colourful picture; and in your heart it makes you feel happy, puts a small smile on your face, and makes you feel good about the world, even if it is just for one day in the week. Jordi is more than just a symbol of love, it is a symbol of friendship, happiness, and beauty – a memory I will certainly hold dear throughout my life thanks to my short stay here. 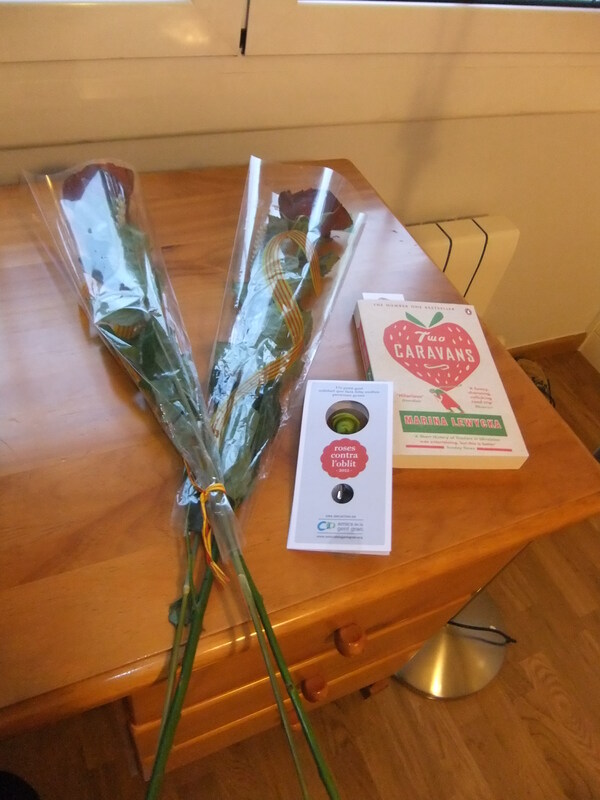 My haul for Sant Jordi; some of the most meaningful small gifts I have ever received, simply because of the message of reading and love this day gives to me. 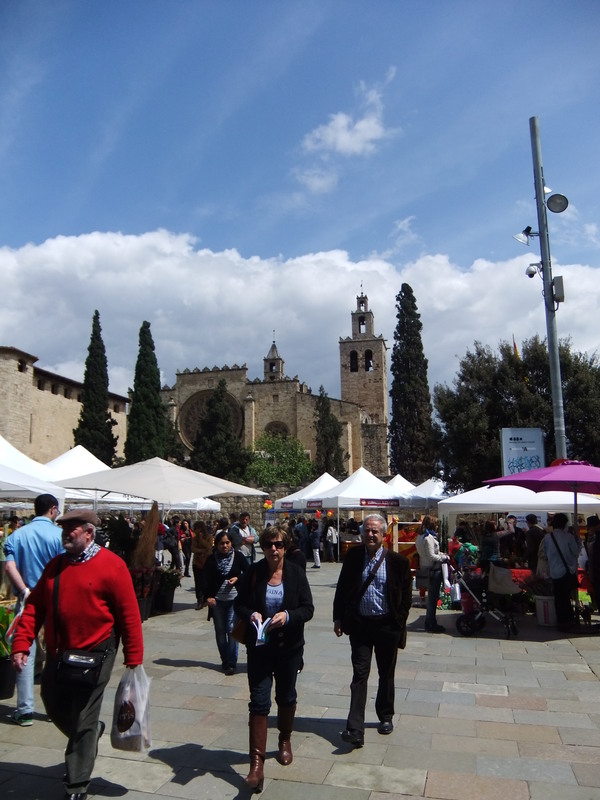 I’d made the decision a while ago to stay in Spain over Easter, in order to experience what it’s like in a foreign country – after I missed most of the Christmas celebrations; I was keen to see what Easter would promise. I’ve visited Italy over the Easter period before and was impressed with the festivities – knowing Spain is a Catholic country, I believed the way they celebrate would be relatively similar. Sadly, however, I must confess I hardly saw anything of Easter and the traditions people celebrate, at least for the full week and on the especially significant days, as in Good Friday and Easter Sunday. During the run up to Easter I learned about some customs, through lessons where we compared Easter in England to how they celebrate it here. There are also a lot of South American children at the school, among other nationalities such as French, so it was a true melting pot of traditions; though at the heart of it, most tend to be rather similar. During the Easter preparations, I had been staying with a German family, who share similar customs to us, such as egg-painting: one difference being that they actually eat the eggs they paint, something I’ve never seen anyone do, or think of. In our family, we usually hard-boil it, paint it, and leave it to stagnate for as long as possible, or until someone gets bored of looking at it. The children from said family had friends over to help paint and decorate, which was lovely, as I got to see children experiencing something totally alien from their culture: painting eggs isn’t so common here, and the little girls went crazy for it. We had eggs of all different colours, designs, shapes, rabbits, chickens, mini-eggs and egg cartons flying everywhere. My art skills have never been so appreciated: a group of seven-year old girls can do a lot for your artistic confidence (bearing in mind mine is about the same level as a young child at secondary school). The South American children in school told us it’s common for them to paint their eggs, too, and a girl brought in an example after Easter time to show us the way they do it. Inserting a needle into the bottom and top of the egg, they drain the liquid inside, and end up with the shell, carefully covering it in paint, and then attaching confetti to cover the holes, finishing with a rather fragile but very beautiful painted egg. It was very interesting to see how other cultures celebrate; especially to find out that mostly we share a lot of common traditions, even halfway around the world. 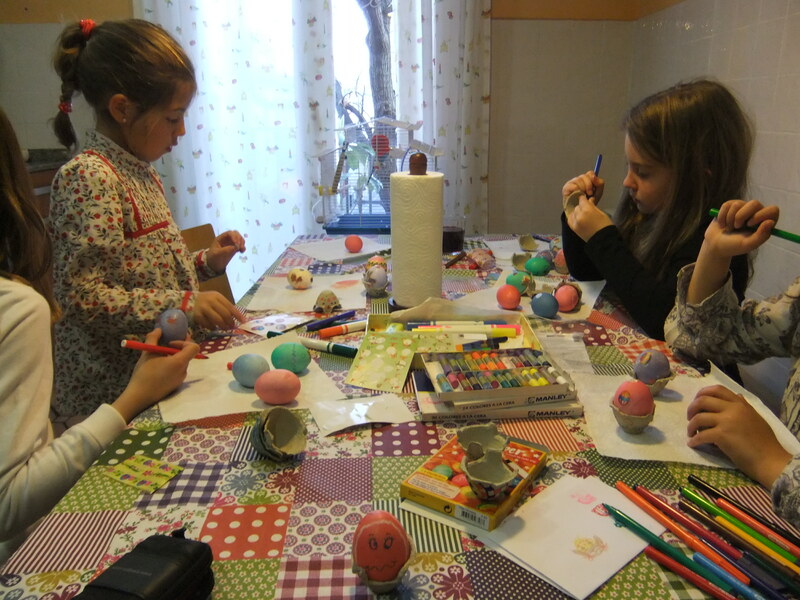 The children of segundo paint eggs at home for Easter. Processions are commonplace here in Spain, particularly in the South, and they are a big event, though it seems to me processions occur regularly, for every occasion. I’m sure some villages probably have a procession just because it’s Tuesday. Nevertheless, this doesn’t make it any less special, although I have to admit I’ve yet to see a big, proper, council-organised one. Sadly, with the crisis, it seems to have taken its toll on festivities, and big processions seem somewhat dampened, probably due to the fact there isn’t so much money available to make it as impressive as possible. Where I live, in Sant Cugat del Valles, it would be difficult to tell there is a crisis; it’s quite a middle-class area, as such, people who work in the city and commute daily, with nice jobs in other parts of the Barcelona area, and cleaners to do the housework they don’t have the time to do whilst they’re gone. It’s a very child-friendly area, too; I have been told it has the biggest population of children for the area size in the whole of Spain, although I wouldn’t let myself be quoted on that. Having spent my Easter in the centre, rather than in Sant Cugat, I don’t know what their parade was like; but as with everything, it seems to have been less of a big deal than the year before. There was also the factor of rain on our hands, here – the start of Easter was beautiful, and the run up, Quaresma (Lent), as it’s called here, showed us sun every day, heat that was beginning to make us feel uncomfortable. 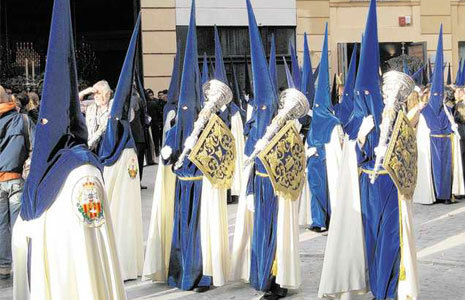 Naturally, when the rain hit mid Semana Santa (as Easter holidays are dubbed here), enthusiasm most likely dipped for the parades: mine included – I simply didn’t feel like popping out to stand in the cold and wet to look at similarly cold and wet people in a procession. That and lack of money is reflecting on every area, and whilst I know the streets were lined with people in the centre, to see the bigger parade down Las Ramblas or other touristic areas, I’m not so sure what the turnout would have been in the smaller towns and villages. It’s a shame, really, for a tradition which can really be a family event, that brings everyone together and everyone can enjoy or participate in their own little way. Celebrations bring communities together; but the lack of money available is pushing them apart, globally, not just here in Spain. An example of what to expect at a Spanish procession. 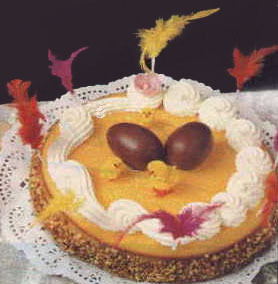 My favourite part of Easter turned out to be a Catalan tradition; which is called ‘La Mona’. Whilst the rest of Spain goes back to school (they only get one week of holiday here, which I think is ridiculous – particularly when I work in a school and could really have done with a good relax; working straight through from Christmas to Easter is no mean feat, and half term doesn’t exist here), Catalonia gets an extra day on Easter Monday, especially for this festival. The Godfather (‘el padrino’) makes a gift of chocolate, or a cake (or both) to his Godchild; and the creations range from the very simple to the ridiculously elaborate and expensive. Children have been telling me what they received as ‘La Mona’, from chocolate footballs bearing the Barcelona FC stamp, to ‘casitas’ (little houses), ‘pollitos’ (chicks), and giant eggs, of which the latter was given to the child of the family I’ve been staying with. During La Mona we celebrated with a big family dinner, including cousins, grandparents, great-grandma, family from overseas (Germany, in this case); a real bash, everyone crowded round the table, and in this case speaking what seemed like every language under the sun. If anyone were to have come in as an outsider, I assume they would have been rather befuddled by the fact that people were switching from German, to Catalan, to Spanish, and last but not least, to English, usually with someone translating the conversation in the middle so everyone could understand one another. My understanding of German is relatively good, but that didn’t make it any easier for me to speak in it (not a word comes to my mind – now the only other language I can think in happens to be Spanish, with Catalan often chucked in when I’m not sure of the word in Spanish). Having accidentally walked in on the German grandmother having a well-deserved nap, I woke her but had no language to be able to tell her how desperately sorry I was. We managed to get by due to the fact she knows a little Spanish, but it’s so awfully frustrating to not be able to properly apologise to someone just because you don’t know how – language is so important for communication. La Mona, a typical Catalan tradition presented to children from their Godfather. The children received several ‘Monas’, the young boy getting the cream of the crop – a giant egg which dwarfed the centre of the table. Neatly presented, the mother popped through to the kitchen and came back with a wooden mallet, which he then proceeded to wield down over the egg, to much delight and many video-recordings. His sister and their cousin both were in proud possession of special cakes; decorated with chocolate eggs and the pop-culture children’s choice of the moment (it seems to change every week, but at the moment it’s ‘Monster High’, which I’ve seen and not understood for a moment what’s going on, or indeed why it’s popular). Cakes galore, we tucked in, also into the hot cross buns I’d made for the family as an Easter gift, which were well appreciated, and turned out rather nicely, even if I do say so myself. 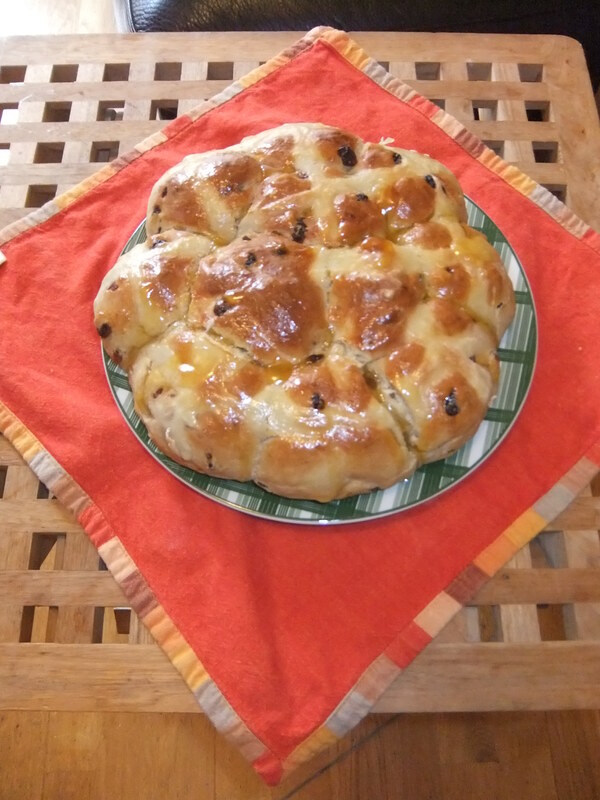 Hot cross buns made in Spain successfully - yummy! After such a short celebration, it seemed a shame to be returning back to school; a week is not long enough to enjoy the Easter festivities (even if there aren’t as many as I’d been hoping for). However, it’s nice to be able to share stories with one another, particularly in Spanglish, as the children often get so excited telling me about their Monas or their holidays that they forget themselves, and speak in rapid Spanish spattered with the English words they can remember; so ‘chicken’, ‘egg’ and ‘rabbit’ is about as far as most of them can get. I’ve enjoyed my short little holiday, and really like how family-centred Easter is over here. In general, public holidays and celebrations are less commercial, and they bring people together, much more than the way we celebrate – I haven’t seen rows upon rows of Kit Kat chocolate eggs or boring, rolled-out Cadbury ones, most likely featured from the year before. People take time to enjoy themselves and really give a gift that they know will be appreciated, rather than a token gesture of an Easter Egg: which in England seems to be about the more you have, the better. Quantity over quality is all I remember from childhood: a competition to see who was the owner of the most eggs, whereas all you need here is one Mona – decorated to the nines and truly appreciated by the child that receives it.